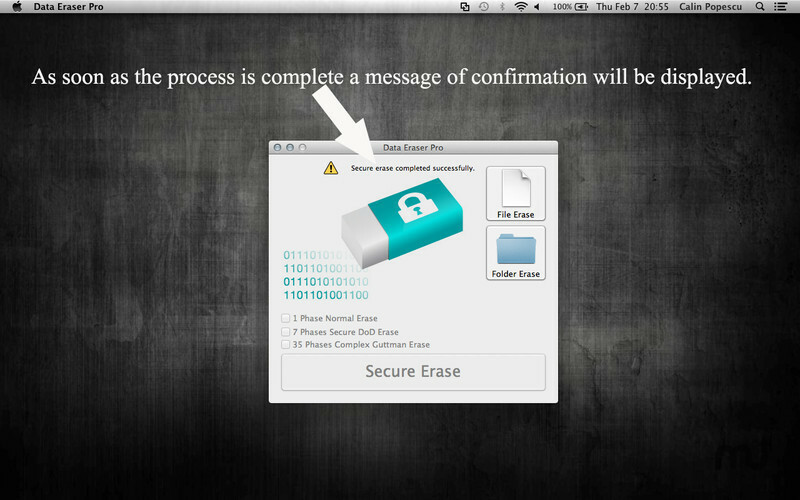 Secure and thorough file deletion. Is there a better alternative to Data Eraser Pro? 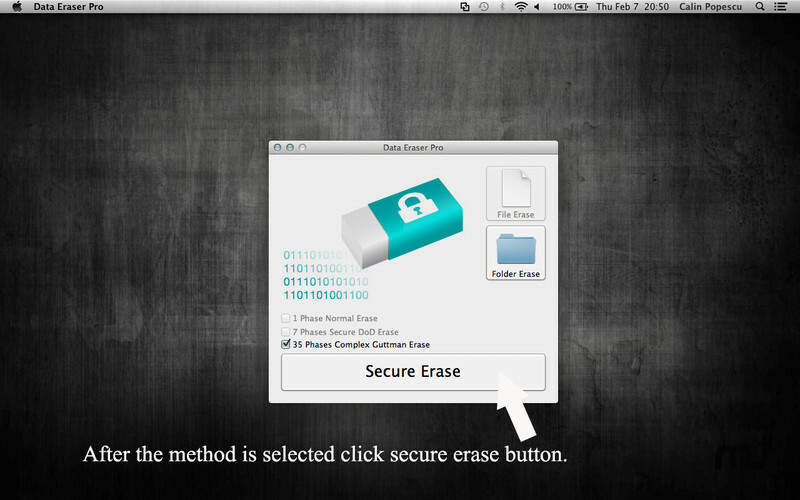 Is Data Eraser Pro really the best app in Security category? Will Data Eraser Pro work good on macOS 10.13.4? 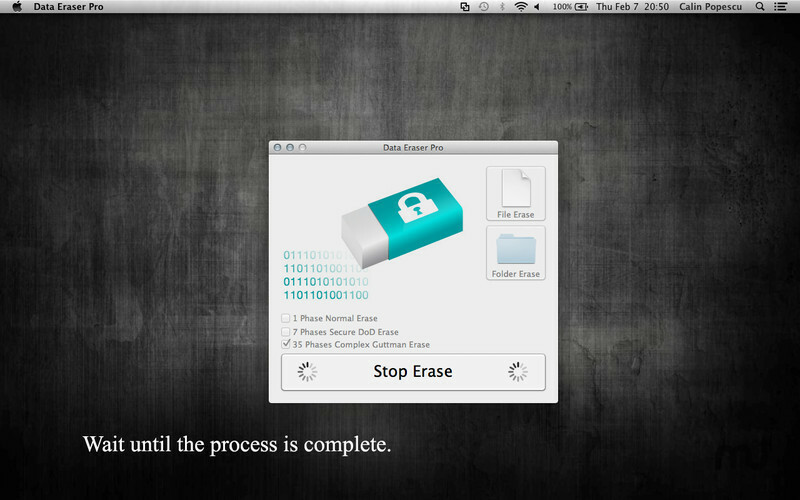 Data Eraser Pro can prevent anyone ever recovering your private files. 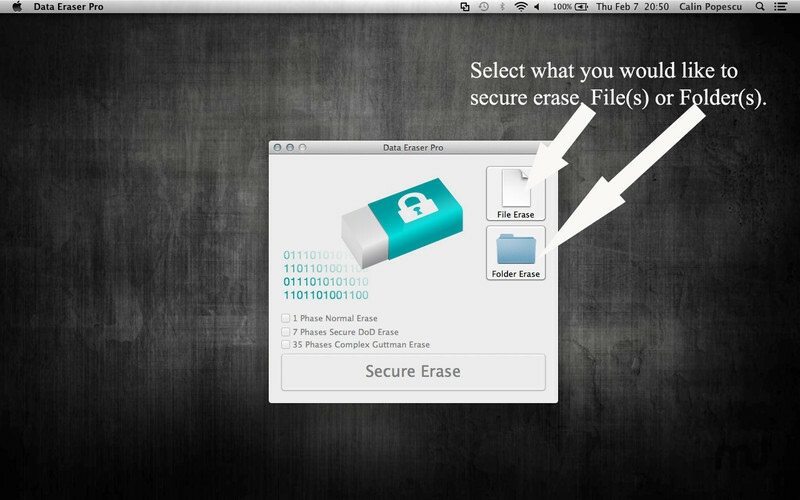 It can perform secure erase for single or multiple files or folders. Most people have some data that they would rather not share with others - passwords, personal information, classified documents from work, financial records, self-written poems, the list continues. Perhaps you have saved some of this information on your computer where it is conveniently at your reach, but when the time comes to remove the data from your hard disk, things get a bit more complicated and maintaining your privacy is not as simple as it may have seemed at first. Data Eraser Pro needs a review. Be the first to review this app and get the discussion started! Data Eraser Pro needs a rating. Be the first to rate this app and get the discussion started! 1 Phase normal data erase. 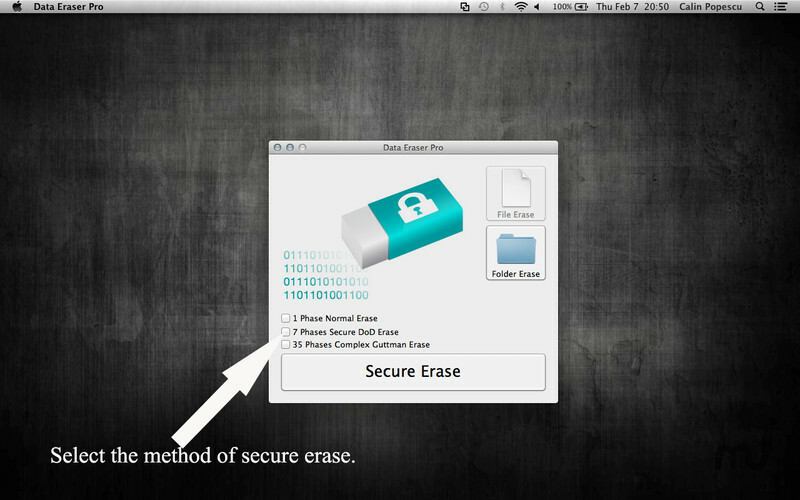 7 Phases DoD method secure data erase. 35 Phases Guttman method secure data erase.